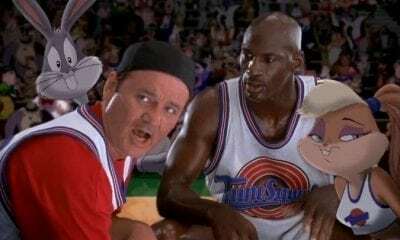 They were some of the biggest stars in the sports world and weren’t even cashing checks to play the game. That’s the beautiful and bizarre world of NCAA basketball. College programs are a rotating door, churning out student athletes every four years (if they’re there that long), but that’s all this list of NCAA stars needed to leave an everlasting impression on their program and the nation. 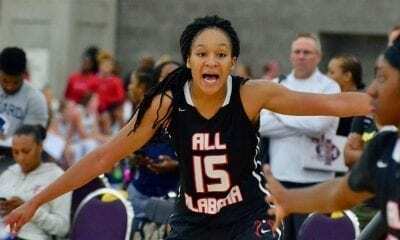 Let’s look back at some of college ball’s top talents whose time in the spotlight seemed to peak while putting their school on the map. 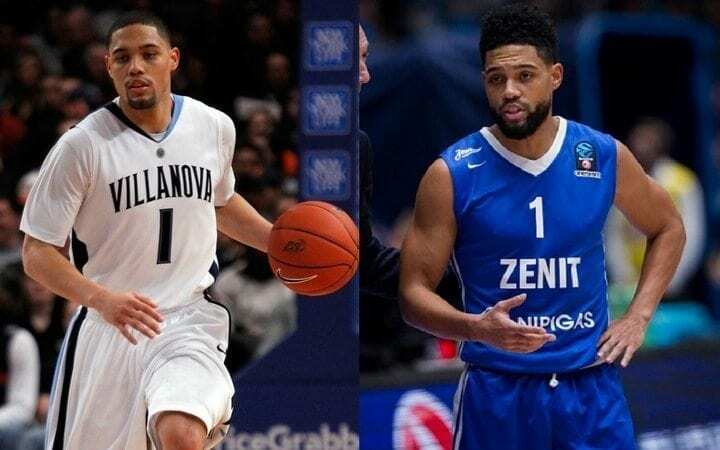 Villanova has grown into one of the most dominant basketball programs in the NCAA, and Scottie Reynolds played a gigantic role in getting the Wildcats to that point. The sharpshooting guard tore up the Big East from 2006-10, dropping the second most points in school history (2,222) as he led the Cats to four straight NCAA Tournament appearances. Despite earning first team All-American honors his senior year, the offensive-minded point guard’s lack of versatility simply didn’t align with NBA expectations. Even though Reynolds hasn’t been balling in the States, he’s keeping plenty busy playing overseas playing for clubs in Italy, the Philippines, Turkey, Czech Republic, Israel, Russia, Turkey and Croatia. Just reading those countries will give a person jet lag. Butler went from barely on the map to a real deal basketball school during Matt Howard’s collegiate career (2007-11). 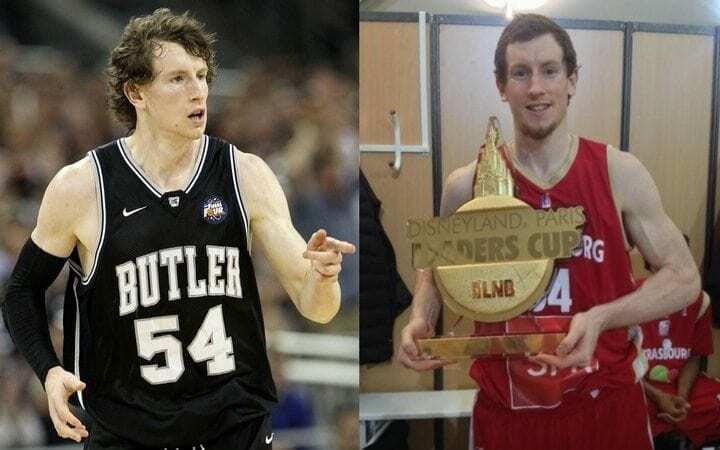 Alongside future NBA players Gordon Hayward and Shelvin Mack, Howard catapulted Butler from relative obscurity to back-to-back national championship appearances as a junior and senior. Howard was the quintessential utility man in college, hustling on both ends and always willing to sacrifice the body for a loose ball. Even at 6’8”, 230 lb, Howard’s undersized frame for a power forward forced him to take his talents overseas where he now plays for Tel Aviv of the Israeli Premier League after stints in Greece, Germany and France. 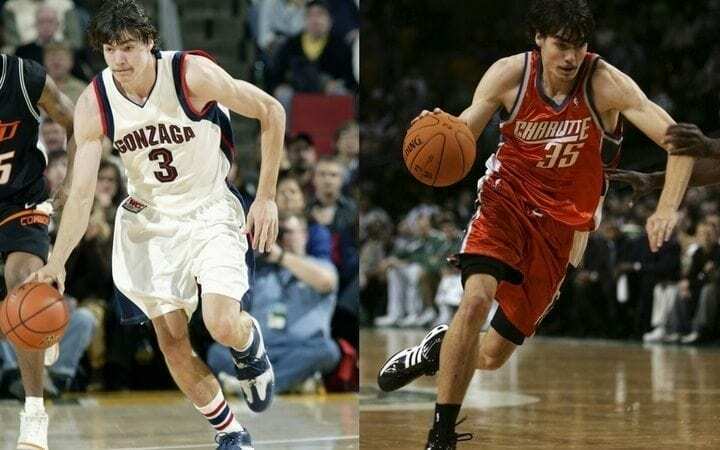 Adam Morrison was as loveable of a star as college players can be. The Gonzaga forward was an unstoppable scoring machine in his three years before declaring for the draft. The 2006 D-I scoring champion (28.1 ppg) led the Bulldogs to three straight tournament appearances and a Sweet Sixteen appearance that proved even our heroes cry. The Charlotte Bobcats really went all in, drafting Morrison No. 3 overall pick. After a solid rookie campaign, Morrison suffered a torn ACL heading into his second season. After bouncing around the league (and scoring two championships at the end of the Lakers bench), Morrison played overseas before returning to his high school, Mead, (Spokane, WA) as an assistant coach. 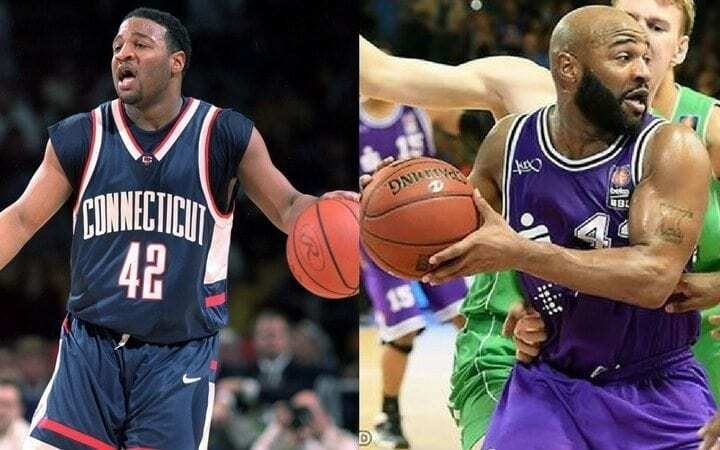 There was loads of talent on UConn’s 1999 national championship team, but Khalid El-Amin was the clearly cut out as the Huskies’ spirited leader. It’s easy to understand why El-Amin was so popular. He was the pick-up star we all knew well throughout the country – undersized, deceptively athletic, relentlessly physical. 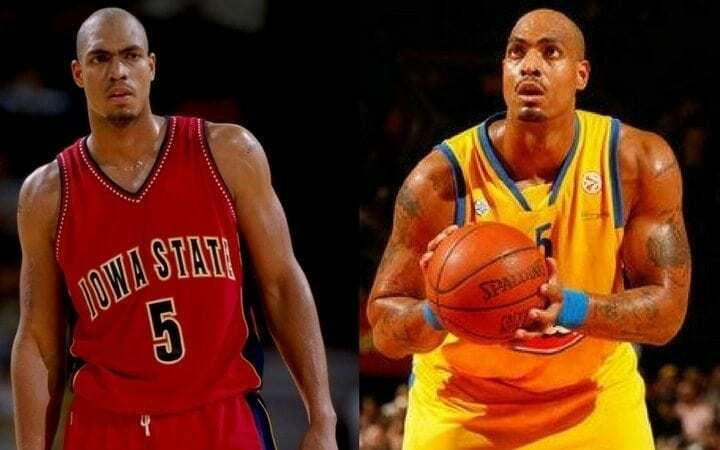 El-Amin’s 5’10”, 200 lb frame didn’t do him any favors once in the NBA, so it was off to Europe to play professionally after just one year. Overseas, on the other hand, El-Amin has thrived and compiled a list of teams on his resume that would make adamant world travelers envious. Ed O’Bannon, the older of the O’Bannon brothers, was a mega monster. The dominant power forward improved each of his four years at UCLA and was the cornerstone of the Bruins’ 1995 National Championship. With 20.4 ppg, 8.5 rpg and 2.5 apg, O’Bannon was a one-man wrecking crew. Many know O’Bannon for his beef with the NCAA more than his time playing college ball. His role as the lead plaintiff in O’Bannon v. NCAA, stating that D-I basketball/football players are entitled to financial compensation has been a catalyst for this debate. 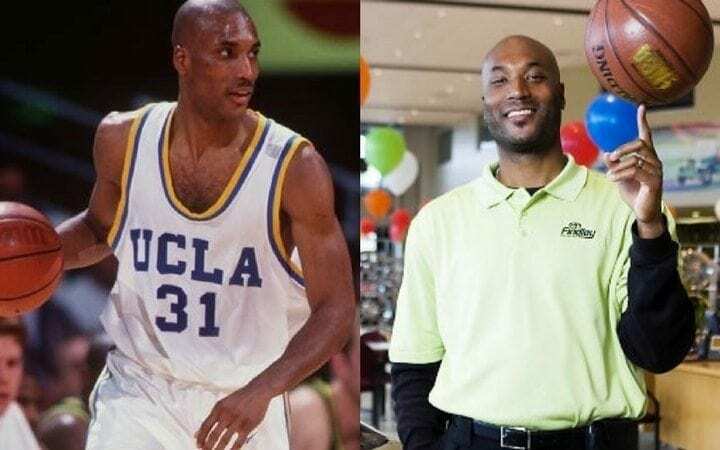 Aside from publishing Court Justice: The Inside Story of My Battle Against the NCAA, O’Bannon enjoys life away from basketball working as a car salesman in Nevada. Anyone who wasn’t a fan of Jimmer Fredette simply isn’t a true believer in the blessing our basketball gods gave us. 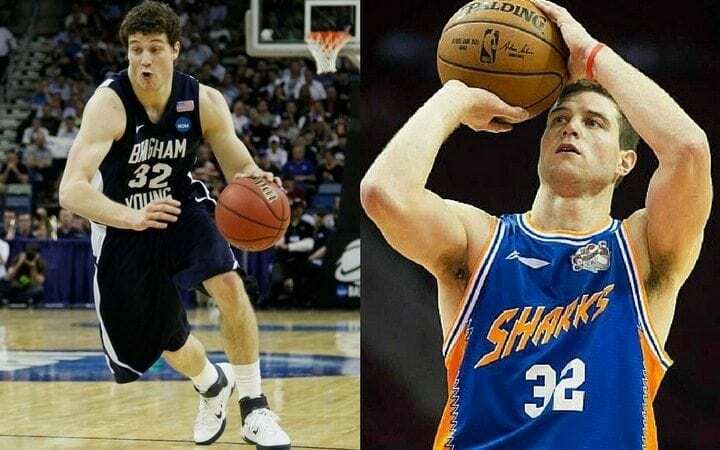 By Fredette’s senior year (2010-11), the entire nation caught Jimmer fever, as he jacked NBA-range shots to a cool 28.9 ppg and National Player of the Year. Even though Fredette’s moonshot was as prepared as anyone for the transition to the NBA, the rest of his game couldn’t translate. After a few years in the league, Fredette turned to China’s CBA in 2016 where he’s been a superstar on the Shanghai Sharks since. One highlight of the 2017 CBA International MVP was his 73-point performance in a rookie that saw him average a mind-boggling 37.6 ppg. Before the Big East returned to its “Catholic Seven” roots, Syracuse was still a staple of the powerhouse conference. 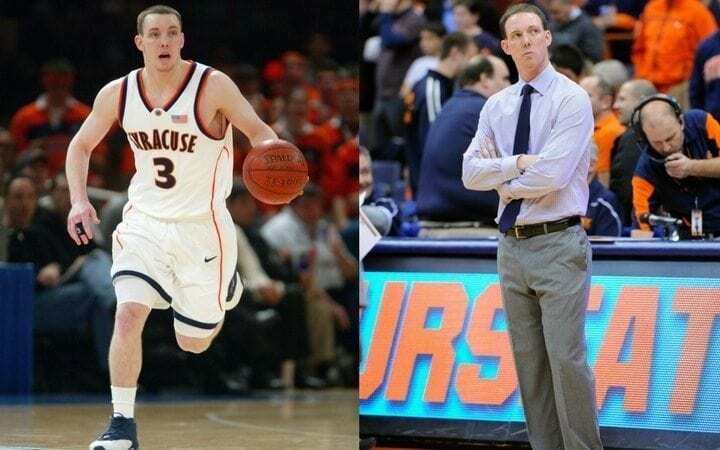 Cuse was a favorite easy-to-hate team basketball school, and Gerry McNamara was the face of the Orange at their peak years, starting with his freshman year alongside Carmelo Anthony in their 2003 National Championship run. Undrafted after graduation, McNamara played stints in the D-League and briefly played professionally overseas before returning to Syracuse as an assistant coach. To understand just how iconic McNamara’s college career was, the Scranton, PA native was honored with a bobblehead by the Triple-A Scranton Red Barons, a bobblehead that sat on the desk of a certain Dwight Schrute of Dunder-Mifflin. Amongst the many great players to play for Duke, Jay Williams is largely thought to be one of, if not the greatest to represent the program. 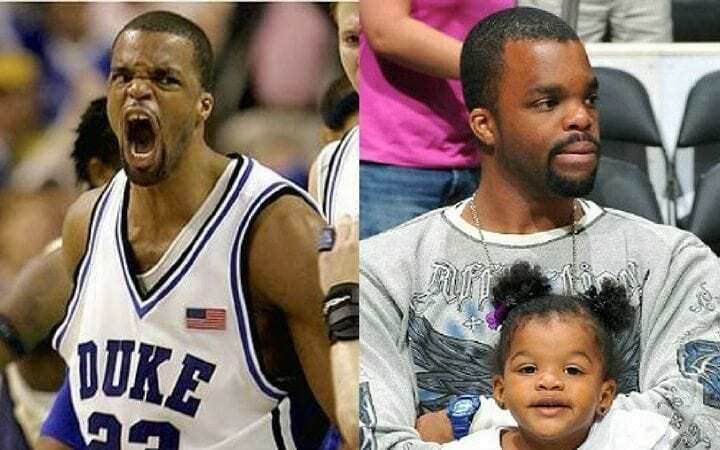 In his three years, Williams led the Blue Devils to a national championship (2001) and various individual honors and accolades before graduating earl. Selected No. 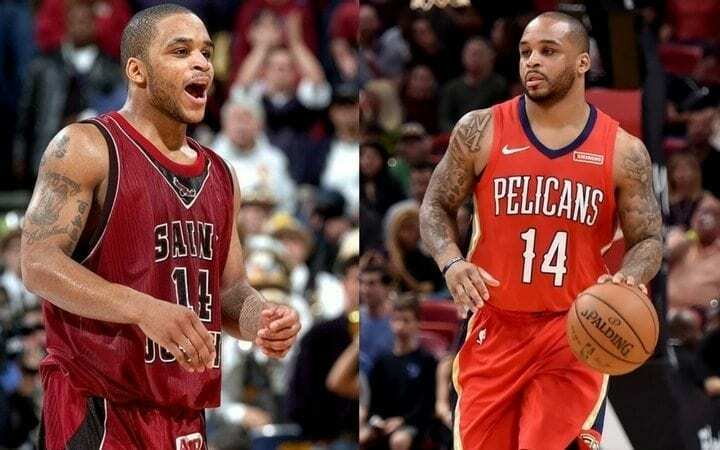 2 overall in the 2002 NBA draft, Williams appeared to be primed for a long, successful career before a motorcycle accident robbed the star point guard of that opportunity. Once it was clear a comeback was not in his future, Williams returned to commentate college basketball games and has been working as an ESPN analyst since. 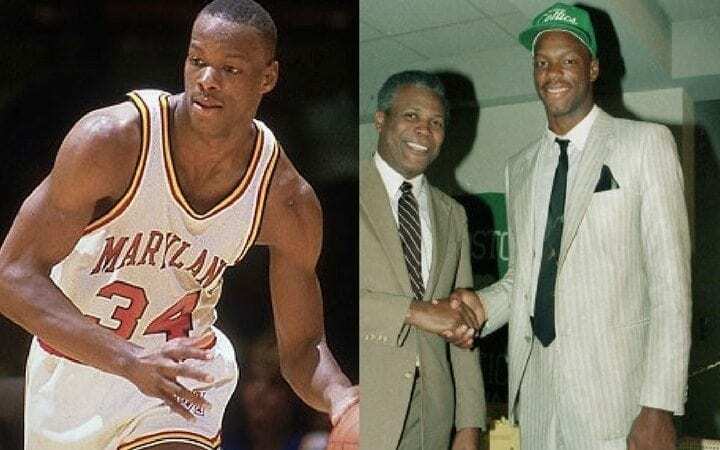 In the ACC, the heavyweight division of college ball, Maryland’s Len Bias was a larger than life star. The 2x ACC Player of the Year led the Terps to four straight NCAA tournaments and two Sweet Sixteens, offering fans a flash of what was sure to be a revolutionary professional talent. After his storybook college career came to a close, the talented small forward’s promising NBA career was tragically cut short before it even began. 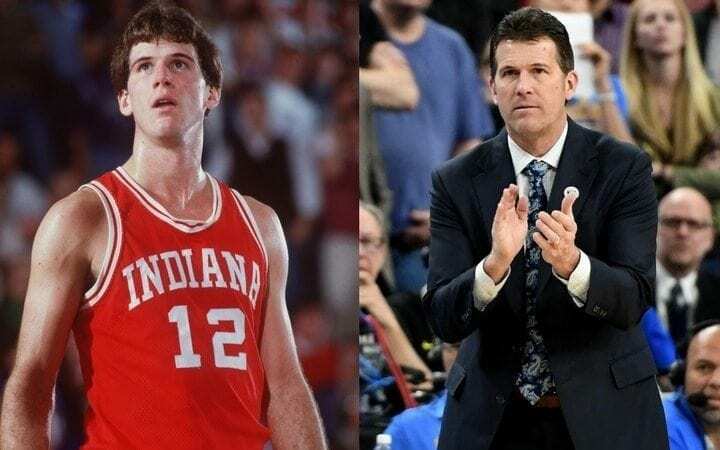 As a player, Steve Alford was the living embodiment of Hoosier basketball. The Indiana native had a borderline scary work ethic, practicing morning, noon and night to perfect his game. 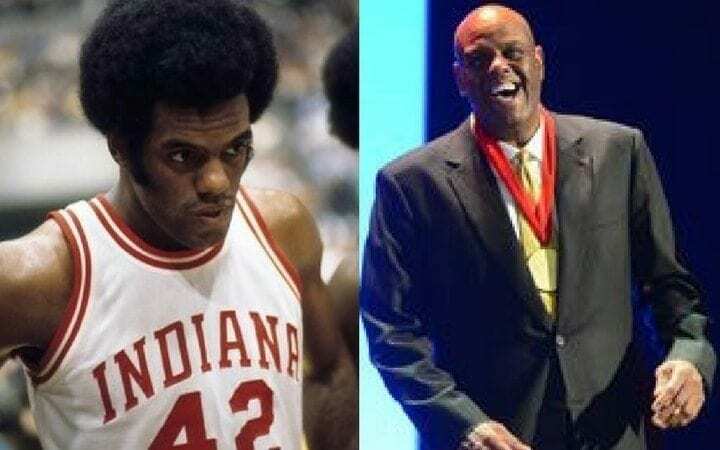 The 1983 Indiana Mr. Basketball stayed in-state to play four years for the Hoosiers, which all paid off as he won the national championship his senior year. 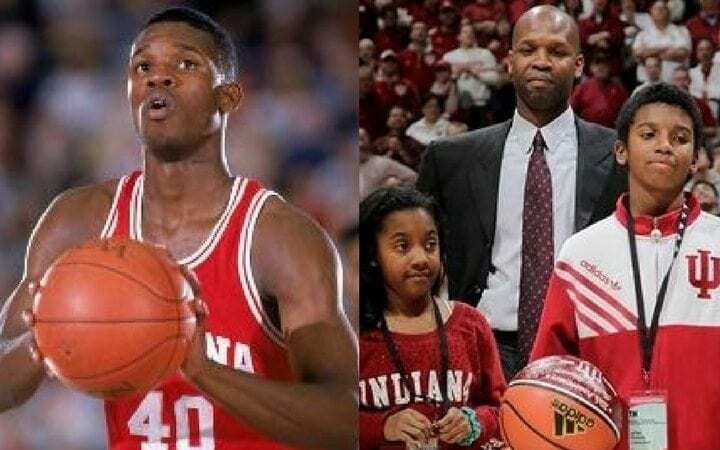 After a brief NBA career (working the bench), Alford embarked on his next NCAA journey as a coach. Alford found ample success coaching Missouri State, Iowa and New Mexico before taking over as head coach of UCLA in 2013 where he had the pleasure of coaching his son, Bryce. Right up there amongst the most successful programs in college basketball is Michigan State. It’s hard to describe just how large a role Mateen Cleaves had in catapulting coach Tom Izzo’s notoriety. Cleaves’ first-round selection in the NBA draft was well-deserved, but his time in the league consisted of little more than riding pine. With his playing days officially over, Cleaves began working as an analyst for the team that drafted him, the Detroit Pistons, in 2010 and has held a role as an analyst since. 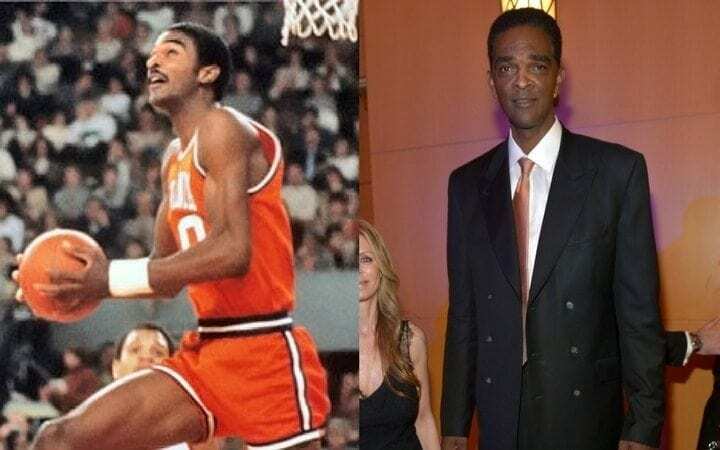 For four years, Ralph Sampson straight up owned college basketball. The Virginia Cavaliers’ formidable tower was a 7’4” terror on stilts on the hardwood. Sampson swatted shots and racked up double-doubles at such a staggering rate, he earned National Player of the Year honors a staggering three years in a row! Unsurprisingly, Sampson was the first name to be taken off the board in the 1983 NBA draft. After four All-Star seasons, all we’re left with are “what-ifs,” as the remainder of Sampson’s promising career was marred by knee injuries. Sampson’s two sons have carried on his legacy playing Division I basketball. 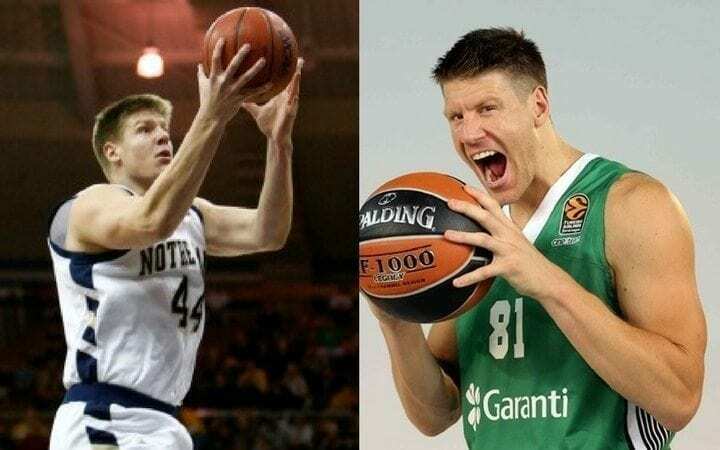 Luke Harangody had a lot of fans ripping their hair out whenever their team had to face his Notre Dame Fighting Irish. Yet another man to make the “Most Hated” list and for good reason, as the stocky power forward could bully his way into the paint for a bucket and just as easily turn and fade with a pretty hook shot. After averaging 19.2 points and 9.5 rebounds over four years, the 2008 Big East Player of the Year was taken late off the board in the 2010 NBA draft, but Harangody’s old school style of play simply didn’t match up with the times. Overseas, however, Harangody’s found his niche and has consistently found teams that can use his unique skillset. 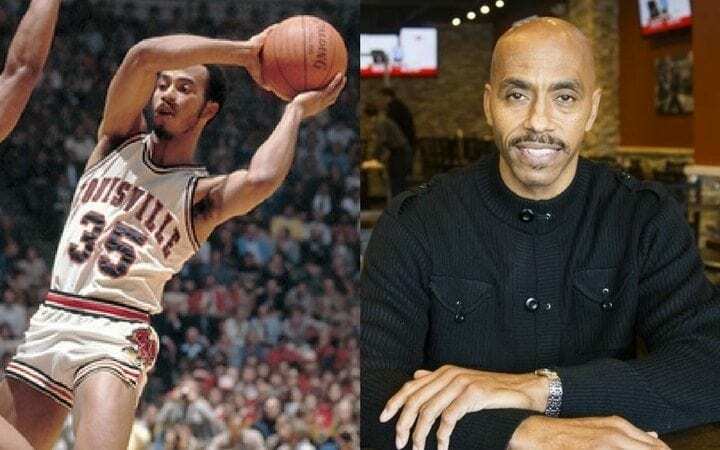 Anyone unfamiliar with Louisville’s Darrell Griffith may have at least seen his alter ego, Dr. Dunkenstein. Dunkenstein was an OG jammer who helped revolutionize the dunks we see today. The most remarkable part of it was that he was showing off these flashy jams while leading the Cardinals to three straight Sweet Sixteens and Louisville’s first ever national championship (1980). The doctor of dunks didn’t slow down in the NBA. On the contrary, Griffith was everything the Jazz hoped for, as his 20.6 ppg earned him Rookie of the Year honors. The scoring machine had five prolific years of play before a foot injury slowed his production in his final five NBA years. Griffith returned to his alma mater as a special assistant to the president for years until 2018. He’s also been keeping busy mentoring another high-flying star in Utah. When looking back on the history of Duke’s basketball program, their introduction to the league as the NCAA’s new top dog came with Bobby Hurley running the point. Hurley improved each year, reaching the championship game as a freshman before winning back-to-back national championships (1991, 1992). Hurley proved to be a terrible lottery pick, but an ugly run in the NBA wasn’t the end of his basketball career. 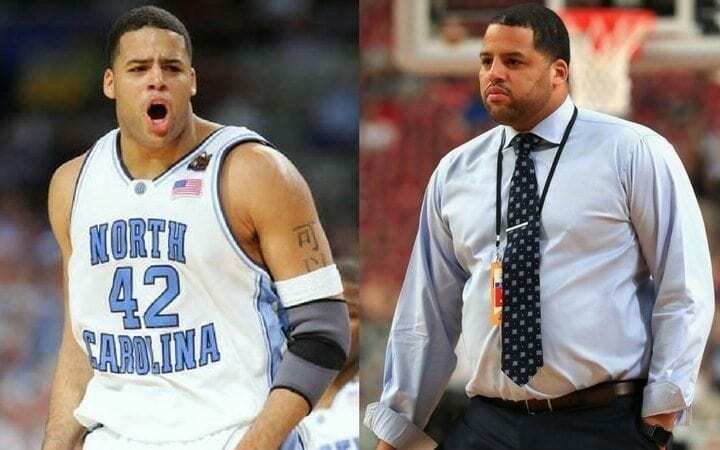 The former star guard returned to college ball, working his was up from an assistant at Wagner and URI to head coach at Buffalo where the team won two MAC championships before he took the reins at Arizona State. 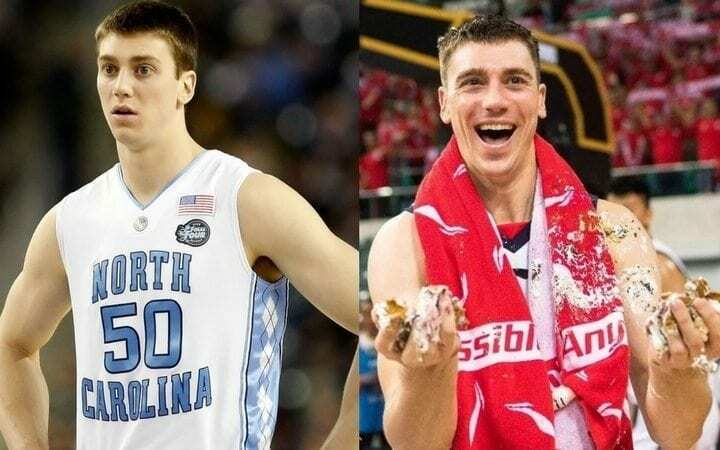 Sure, the Dukies always have a good front-runner for the NCAA’s Most Hated of the Year, but Hansbrough checked all the boxes: UNC Tar Heel, national champion (2009), NCAA Player of the Year (2008), big bug eyes… the list goes on for Psycho T.
After graduating as the 13th highest scorer in D-I history (that’s one ahead of Larry Bird), Hansborough actually saw limited action in the NBA for seven seasons, but it wasn’t the same Psycho T we loved to hate. In 2017, the Tar Heel took his talents to the CBA where he’s been crushing it with the Guangzhou Long-Lions. After Louisville great Dr. Dunkenstein won the Cardinals a championship, it was Never Nervous Purvis’ time to shine. Ellison started at center all four years, but it only took him one to win a national championship (1986) for the Cards. Since 2011, Pervis has coached basketball at Life Center Academy (Burlington, NJ). Bob Knight saw immediate success when he took over as the Indiana Hoosiers’ basketball coach in 1971, but it was Scott May’s arrival in 1973 that IU became unstoppable. In Scott’s sophomore season, the Hoosiers won by an average of 22.1 points, remaining undefeated until the Elite Eight when Scott broke his arm seven minutes into the game! The following year, Scott won his national championship with a bonus National Player of the Year… oh, and they went UNDEFEATED. Sadly, Scott’s injury ravaged NBA career never saw a chance to take off. The NBA did, however, present Scott with the opportunity to invest in another future. Between each off-season, Scott repeatedly bought up apartments around his alma mater, and business around Bloomington has been booming since. 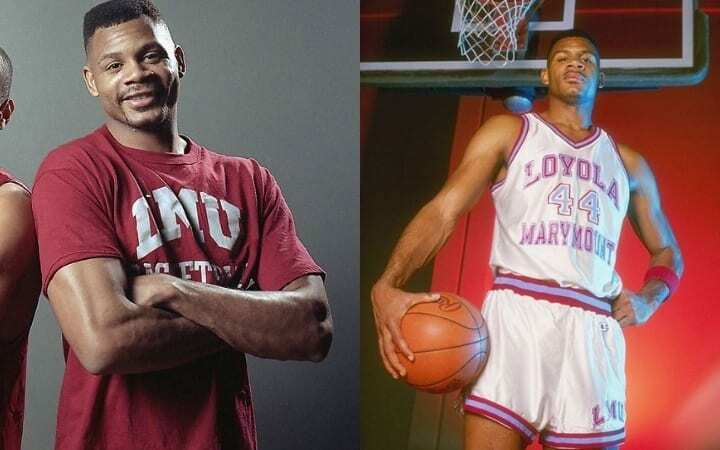 Hank Gathers began his collegiate career at USC before a coaching change resulted in Gathers losing his scholarship, which led him to transfer to Loyola Marymount. Gathers transformed into a basketball god at LMU, leading the NCAA in scoring and rebounding in 1989 and averaging 28.0 ppg and 11.1 rpg. Remarkable as Gathers’ numbers were, there’s also a sad reality to his career low 26 games senior year. Gathers collapsed during a regular game, which led to a discovery that he had an abnormal heartbeat. A few weeks later in the conference semifinal, Gathers collapsed again, dying of hypertrophic cardiomyopathy. 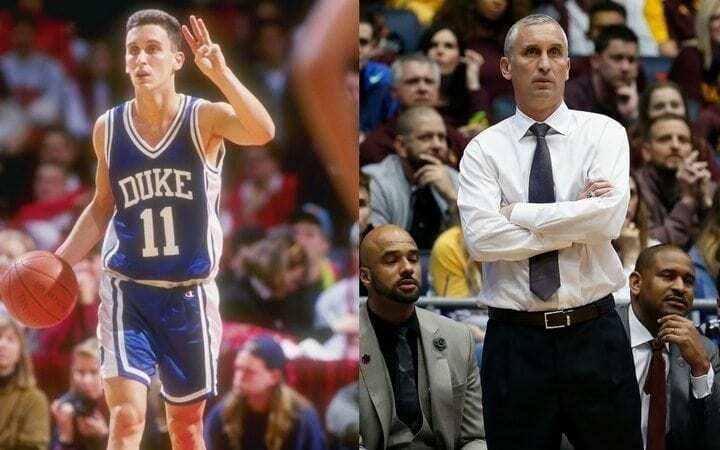 Bobby Hurley left Duke as the Blue Devils’ all-time leader in assists, and it was one of the most notorious names in college hoops who the buckets to make that happen, Christian Laettner. 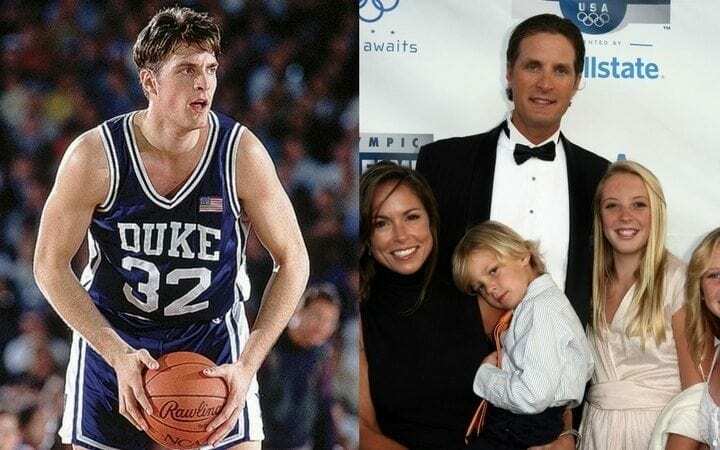 Laettner was the unstoppable scoring machine responsible for leading Duke to two national titles in ’91 and ’92 and graduating with a legacy as one of the greatest players (and most hated) players in NCAA history. Laettner would go on to play 13 seasons in the NBA, earning one All-Star selection in that time. That didn’t stop him from nearly losing it all in an array of bad investments. Since 2010, the former Duke star has taken his Christian Laettner Basketball Academy on the road for kids’ weekend developmental camps. 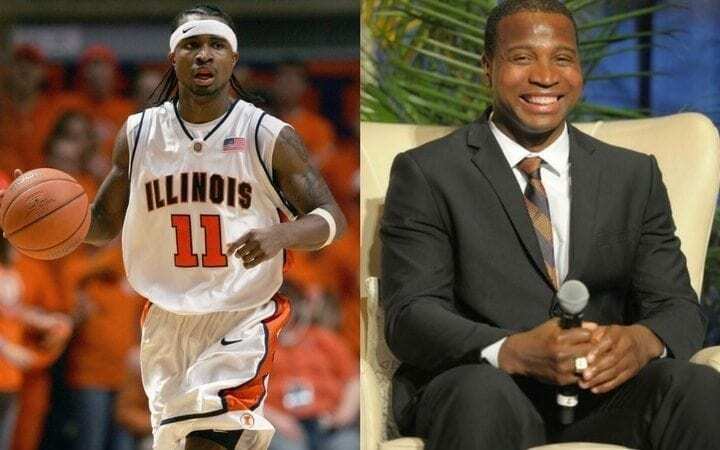 The Illinois Fighting Illini have never won it all, but Dee Brown led the orange and blue all the way to their lone appearance on final stage of the Big Dance. Brown led the star-studded trio of guards (Deron Williams, Luther Head) to a 37-2 record, losing the championship game to the UNC Tar Heels. Brown’s unassuming stature resulted in a brief NBA career before playing overseas. After calling it a career in 2015, Brown turned in his jersey for a shirt and tie, coaching for a year in China before returning to the States in 2017 to begin his coaching career as an assistant at UIC. 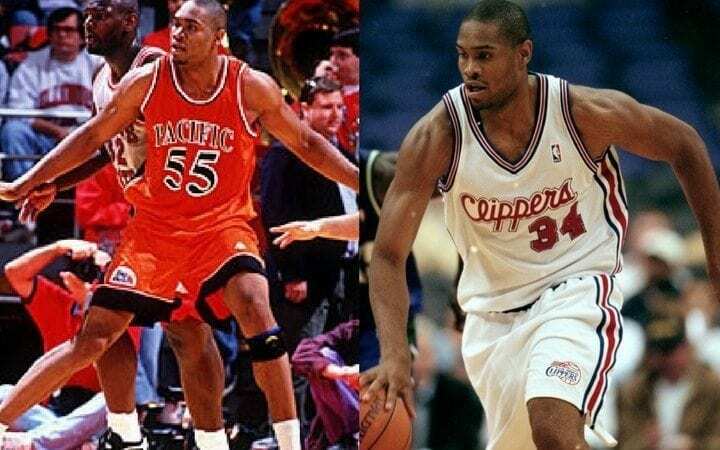 Nigerian born Michael Olowokandi enrolled at University of the Pacific (Stockton, CA) in 1995. Having essentially no basketball experience, the 7’0” Olowokandi actually called the school to see if he could get a shot at the team. Fast forward to hi junior year and he’s torching the nation with 22.2 ppg and 11.2 rpg. Olowakandi hit the NCAA like a comet, and the NBA took notice. Just like that Olowokandi went from completely irrelevant to the No. 1 pick in the 1998 NBA draft. 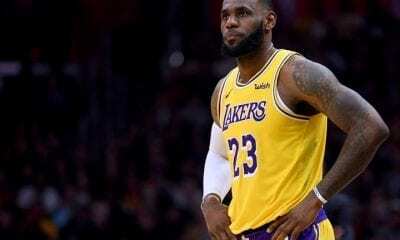 It proved to be a bittersweet moment, as he simply could not cut it at the NBA level. After nine lackluster seasons, Olowokandi (unfairly) is remembered as one of the biggest busts in NBA history and has stayed out of the spotlight since. Oh my sweet Iowa State basketball Jesus, Marcus Fizer was flexing his big boy forward prowess all up on the Big 12. Fizer was the big hoss of Cyclone Alley and a boss in the paint. The hefty forward’s authoritative style pushed the Cyclones to the Elite 8 for the second time in school history as he earned the school’s lone All-American selection. Throwing around that extra weight may have worked at the college level, but it wouldn’t allow him much longevity in the NBA. After falling to the NBA D-League, Fizer showed that he can still hoop, earning D-League MVP (2006) before going overseas to play out his career another decade. 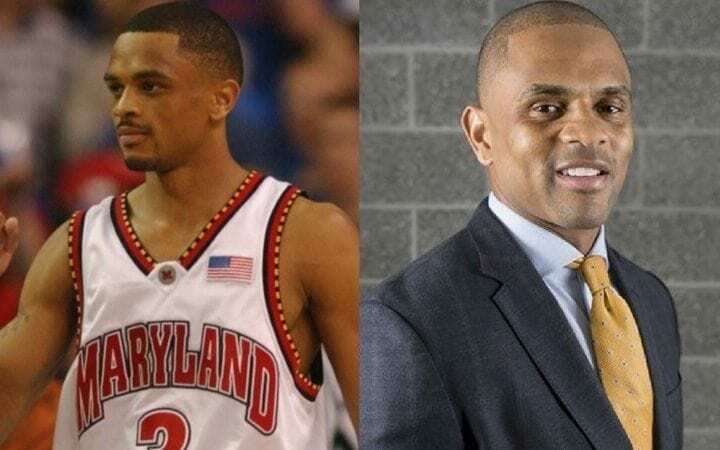 Juan Dixon was straight shootin’ twerking and Terpin his way through the Big Dance to immortalize himself as a Maryland legend. After reaching the Final Four in his junior year for the first time in school history, Dixon ran a disgustingly talented Terrapins squad to the school’s first ever national championship (2002) for an unforgettable senior season. Dixon never panned out to anything more than a backup guard off the bench in his seven years of NBA ball. 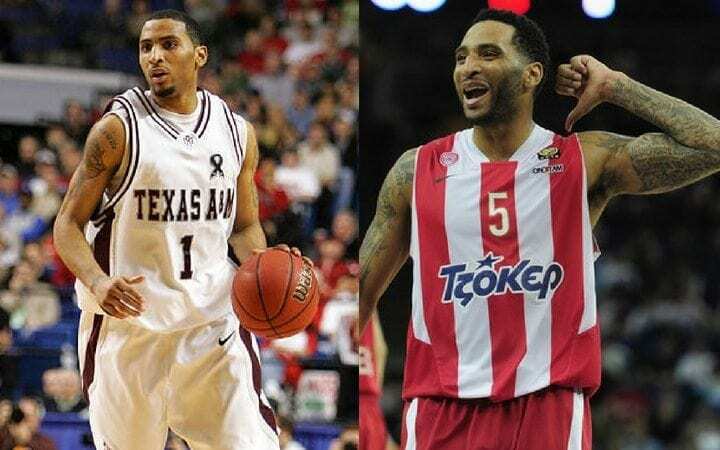 As the story seems to go, Dixon took to the foreign lands to finish out his playing days before returning to the States to coach at the NCAA level. Today, Dixon is running the Coppin State men’s program. Jameer Nelson is coming in hot on this list for the opposite reason as the rest of these hardwood heroes. Nelson looked like the prototypical college superstar whose production would fall off a cliff come graduation. Instead, he’s been hooping in the NBA since 2004. Nelson was a superstar at St. Joe’s. He, along with Delonte West carried the A-10 underdog all the way to the Elite Eight, defying all expectations that little guys can lead a team to such success. Proving all the little guy haters wrong, Nelson hoisted his National Player of the Year trophy for all to see. 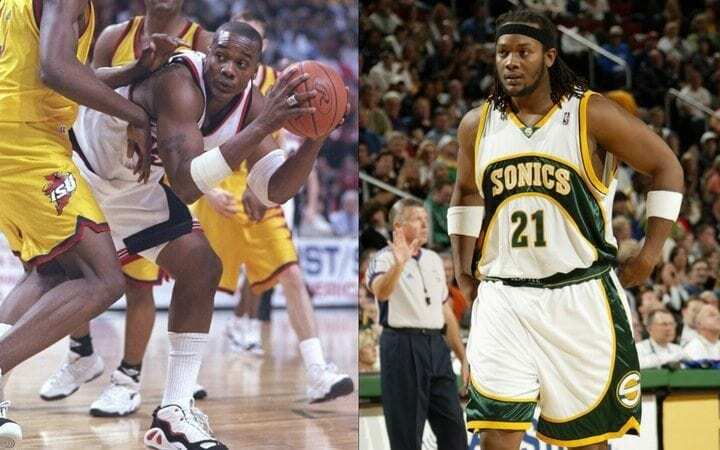 The Camby Man was a nightmare of ‘90s NCAA hoops. 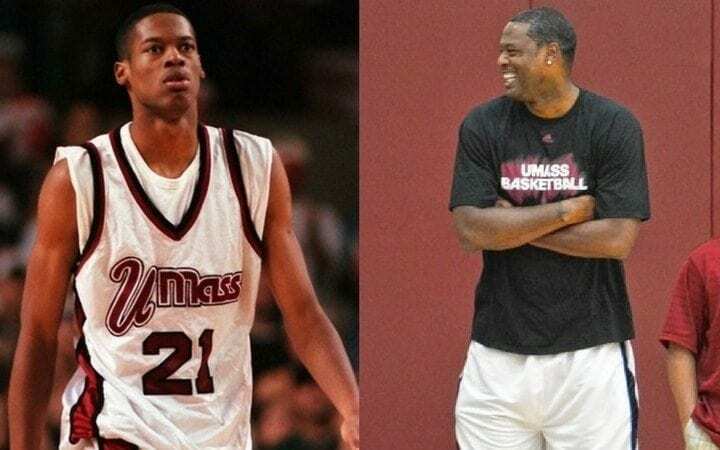 During his three seasons with the UMass Minutemen, Marcus Camby thrived under Coach Calipari. The shot-blocking phenom carried UMass straight to its first ever Elite Eight appearance (1995) and Final Four the following year (though it was technically with an asterisk). Following his junior year, Camby declared for the NBA draft, and every team was looking to get its hands on the defensive-minded National Player of the Year. After over a decade of defensive dominance, highlighted by Defensive Player of the Year honors in 2007, Camby returned to school to finish his credits and graduated in 2017. Jameer Nelson wasn’t the only Player of the Year in 2004. 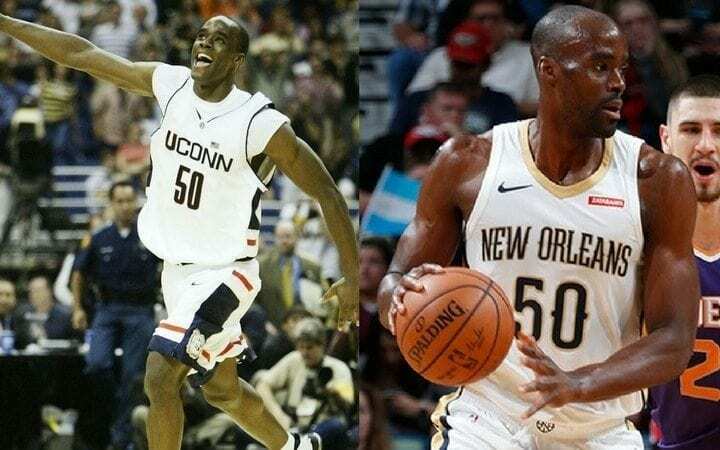 Emeka Okafor led his group of UConn Huskies (who looked more like the Monstars) straight to a national championship. 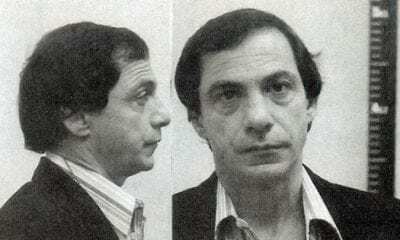 What’d he do? Try everything. 17.6 points, 11.5 rebounds, 1.0 steals and 4.1 blocks. Yup, that’ll get a chip. Okafor declared for the NBA draft after his junior year… but only because he was graduating a year early with a 3.8 GPA. That’s just plain unfair. Okafor played well for years for the otherwise dismal Bobcats and, after a four-year hiatus, made a stunning return to the NBA in 2018. Calbert Cheaney was a deadeye shooter and straight up hooper from freshman to senior year. Cheaney left his mark with a Final Four appearance, National Player of the Year and graduating as the all-time leading scorer in Big Ten history. Cheaney had a long run of it in the NBA, lasting from 1993-2006 before hanging up his jersey for good. After retiring, Cheaney took up a couple of front office positions at both the pro and college level with the Golden State Warriors and Indiana Hoosiers before working as an assistant coach for Saint Louis University for a few years. 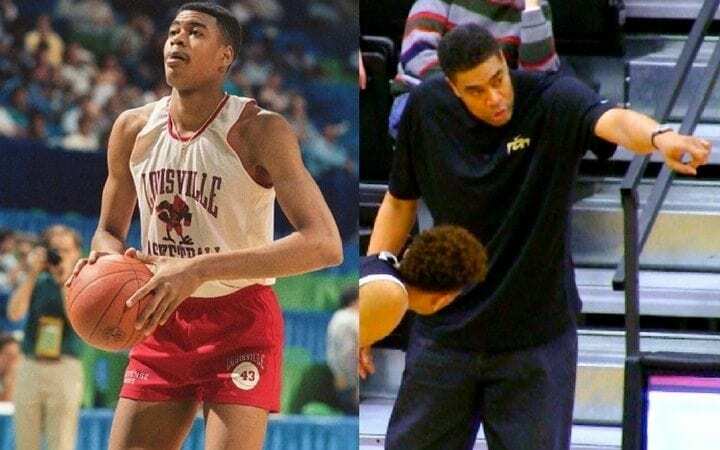 Sean May is one of just four father-son duos in NCAA history to win a national championship on the hardwood. While his father held up the hardware as an Indiana Hoosier in 1976, May won it all in North Carolina as a member of the Tar Heels 2005. May was large, but not quite in charge through his four seasons of NBA ball. On the other hand, when May torched the competition when he traveled to play overseas, winning multiple championships in a variety of leagues. Since retiring, May returned to UNC where he now serves as the director of basketball operations. Oh look, another Duke Blue Devil… how fun. Shelden Williams was an undersized big who could defend the paint like few ever could. His efforts earned two Defensive Player of the Year awards and put him in the Duke record books as the school’s all-time leader in blocked shots (single season and total) and rebounds. Williams took his talents to the NBA where the undersized big was inexplicably drafted fifth overall. After six years of little to no production. Williams hasn’t been in the news much since retiring in 2012, aside from scoring $400,000 in alimony from ex-wife and 2x WNBA MVP Candace Parker in 2018. 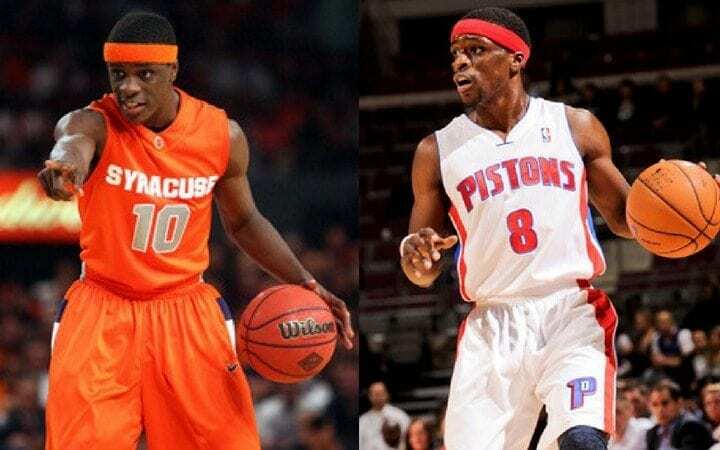 Jonny Flynn was supposed to be the next great thing in basketball. For two seasons (2007-09), Flynn led a stacked Syracuse Orange team through one of the most talent-filled groups in Big East Conference history. The nasty underclassman was unafraid of the spotlight and left us with unforgettable games like the all-time classic Big East tourney win over UConn in a marathon six overtimes. The NBA lottery pick turned out to be anything but a sure thing. Unfortunately for the Minnesota Timberwolves, they had to find that out the hard way. Flynn’s play sputtered out fast. After three years of continually diminished production, Flynn went overseas to play another three years professionally before seemingly going completely off the grid. Texas A&M’s Acie Law, aka Captain Clutch was the ultimate hero and villain in Texans’ eyes. For Aggies fans, he was the sharp-shooting savior who took them to a Sweet Sixteen senior year. To Longhorns fans, he was the SOB who buried “The Shot.” From either side, Law won’t soon be forgotten. Though Law didn’t pan out as a lottery pick, he managed to hang around the league for four years as a journeyman before finishing out his career overseas. Law took his basketball journey full circle, going from a Texas legend to joining the G League’s Texas Legends basketball operations associate program. Jason Gardner was Mr. Do-It-All on the court. 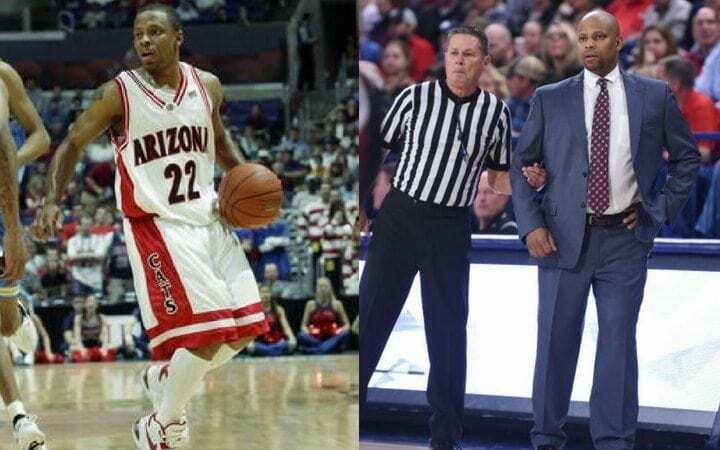 The undersized point guard only stood at 5’10”, but his style of play made him seem a foot taller in his four years with the Arizona Wildcats (1999-03). Burying bucks, dropping dimes, picking pockets: Gardner gave his all every game, even the kitchen sink. Despite spectacular production on the court, Gardner went undrafted. This led the shifty point guard overseas including a top honor of being named Basketball Bundesliga MVP (2009). After retiring in 2011, Gardner returned to the States to coach NCAAB and has served as IUPUI’s head coach since 2014. For three years, Danny Fortson was a force of nature for the Cincinnati Bearcats. The 6’7” forward was built like a tank with a touch as soft as snow. Fortson’s ability to clean up the glass and put points on the board was a major reason Cincy was ranked in the Top 10 (including No. 1) in two of his three seasons. Like so many other what-ifs, Fortson’s promising career was derailed by injury. When Fortson was healthy, he was a monster in the paint despite his comparatively short height. Sadly, his health kept him off the floor on a consistent basis, leading him to play for five teams in 10 years in highly limited capacity. 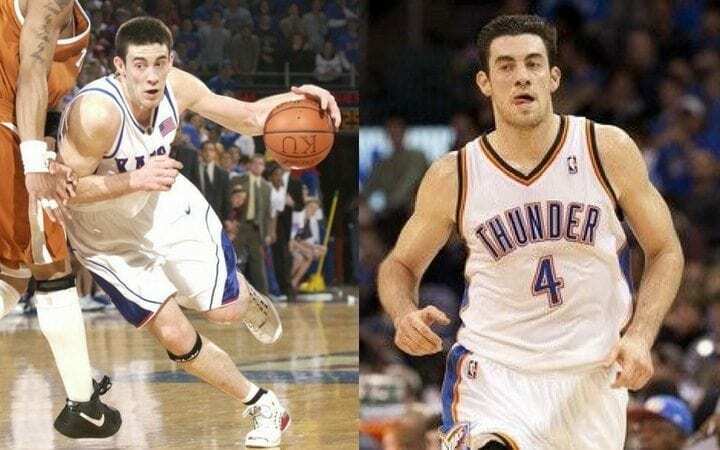 The Big 12 had a gigantic problem dealing with the Kansas Jayhawks and forward Nick Collison. From freshman to senior year, Collison’s minutes grew as did his stats and the team’s record. Collison’s senior year efforts of 18.5 ppg, 10.0 rpg, 1.1 spg and 1.9 bpg earned him the NABC Player of the Year award along with a trip to the national championship game. The Seattle SuperSonics selected Collison with the No. 12 pick in the 2004 NBA Draft where he would play all four years until the team moved to become the Oklahoma City Thunder. The 2017-18 season marked the end of Collison’s 14-year career. Though he spent much of the latter half of his career on the bench, the beloved will always hold a special place in the hearts of Seattle and OKC fans alike, as he retires the final member of the SEA-OKC crew. 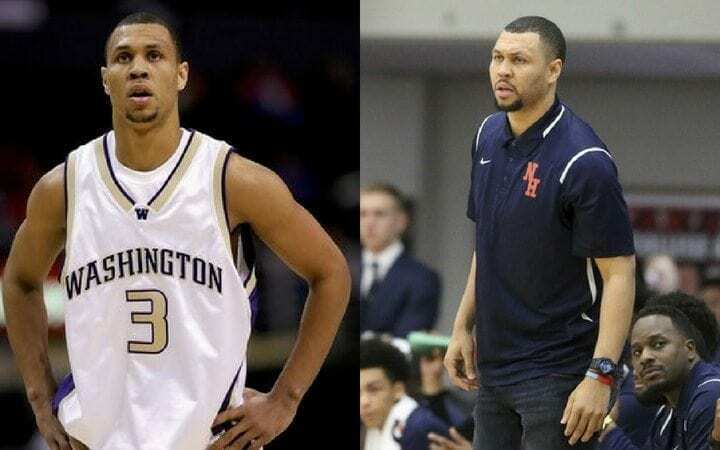 Washington Huskies superstar guard Brandon Roy was an enigma in a school that breeds guards. The Pac-10 Player of the Year took the team from a 10-17 record his freshman year to a to three straight NCAA appearances with lights out shooting. The Portland Trail Blazers selected Roy with the No. 6 pick (2003), and it was immediately clear they landed a beast. Roy was named Rookie of the Year followed by three All-Star selections before a degenerative knee condition stole his career. Roy returned to his Seattle roots, earning Naismith National High School Coach of the Year (2017) after leading Nathan (WA) to a 29-0 record. He has since taken over as head coach of Garfield (WA) where he played. 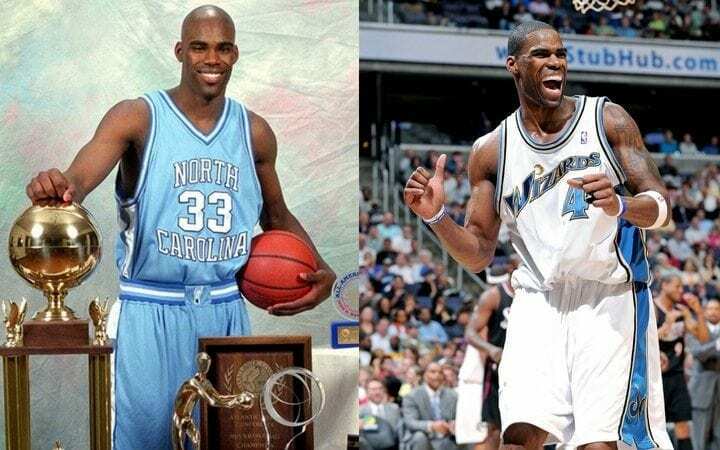 Antawn Jamison never reached the final leg of the Big Dance in his time playing for the North Carolina Tar Heels, but he was knocking on the door twice. With two straight Final Four appearances and a National Player of the Year (1998), there can’t be enough said about all Jamison did in his time playing at UNC. Jamison thrived in the NBA, earning numerous accolades in a career that spanned 16 years. After retiring from playing in 2014, Jamison worked as an analyst for the Los Angeles Lakers before the team hired him to a scouting position in 2017. 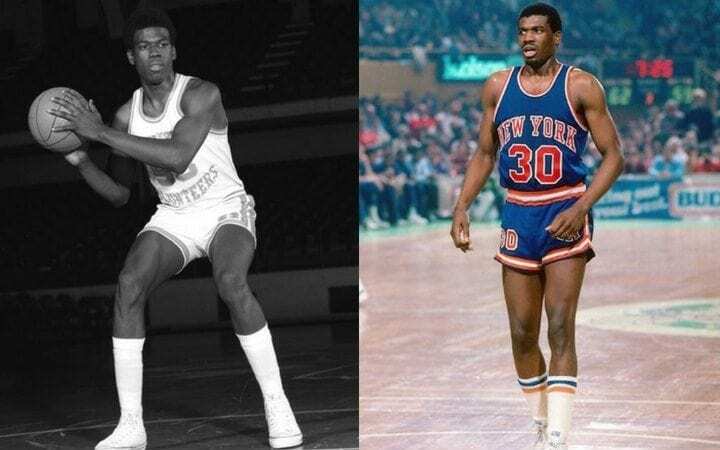 For three years, Bernard King played with the Tennessee Volunteers (1974-77) and, for three years, Bernard King was a menace to the SEC. King horded SEC Player of the Year honors every season he played, which is hard to argue since he averaged 25.8 ppg and 13.2 rpg. King was every bit one-man wrecking crew in the NBA as he was in the NCAA. The small forward reached his peak in the 1984-85 season with 32.9 ppg before suffering a devastating leg injury the following season that likely shortened his career drastically. King still works as a broadcaster for NBA TV and MSG Network. Losing was something Wayne Simien experienced very little of in his four years with the Kansas Jayhawks from 2001-05. The power forward was one of the best scores in the Big 12 and won three conference championships while earning numerous honors. Simien’s NBA career last all of two seasons with the Miami Heat. Both years were spent primarily on the bench, but his rookie year just so happened to be as a member of Miami’s championship team. Simien returned to his alma mater, but not to coach. 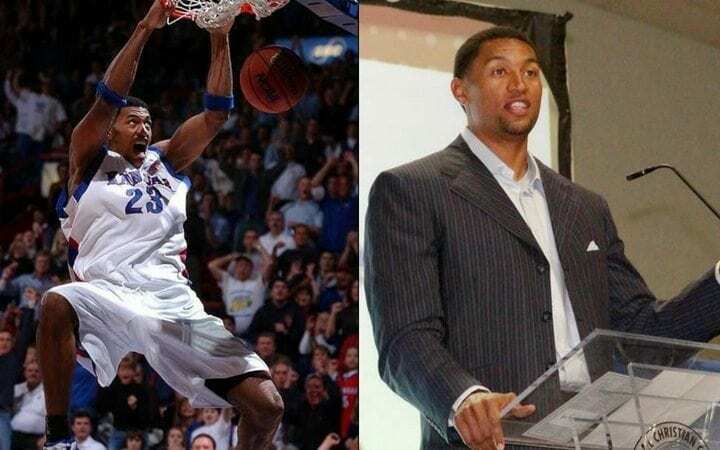 The former All-American is now the Campus Director of Called to Greatness, KU’s chapter of a Christian ministry. 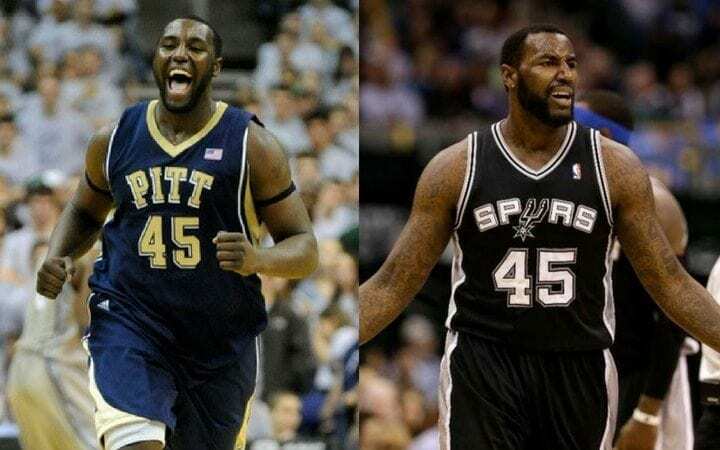 DeJuan Blair’s dominance at Pitt during the Big East’s heyday was remarkable in many ways. The 6’7” forward’s massive frame pushed him to play center. He dominated in his two years at Pitt and earned Big East Player of the Year as a sophomore, which is made even crazier when realizing he has no ACLs! What Blair lacks in height, he makes up for everywhere else. Whether in the NBA, G League or overseas, Blair has found suitors for his body of work since leaving Pitt in 2009. Blair even joined The Basketball Tournament in 2017, joining the two-time champion Overseas Elite and helping the team win its third straight championship (and $2 million).